I fell in love with this stamp the minute I saw it – and although I promised myself “no more flowers”, sometimes you just gotta keep up with the Joneses. Jones’s? Jones’? 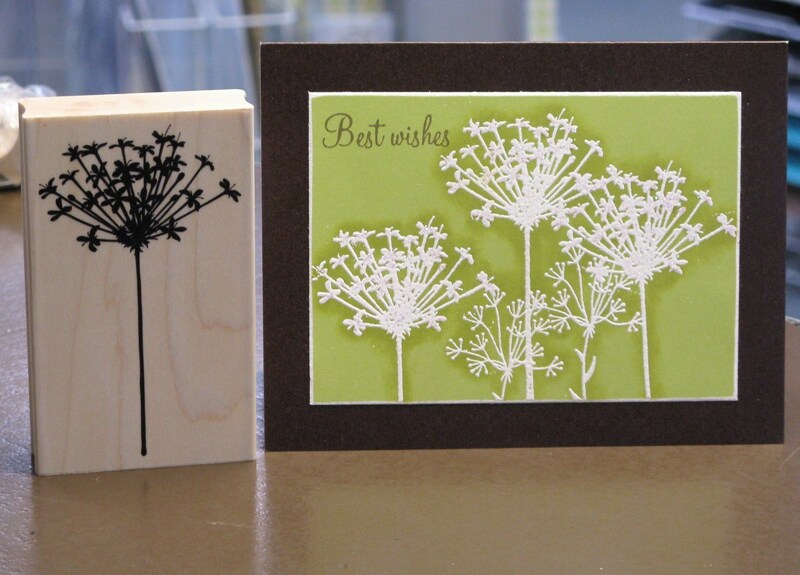 Whatever – Queen Anne’s Lace is technically a weed, so there. I may have purchased a few other flowers, here or there… ahem. Look at THIS box, pretty exciting right? Perhaps I’ll provide another sneak peek before the weekend is over – have a good one! Me! Me! I’m coming in Sat. to register for the class. Still loving that marigold! Gorgeous card – sorry I am missing the class :(. 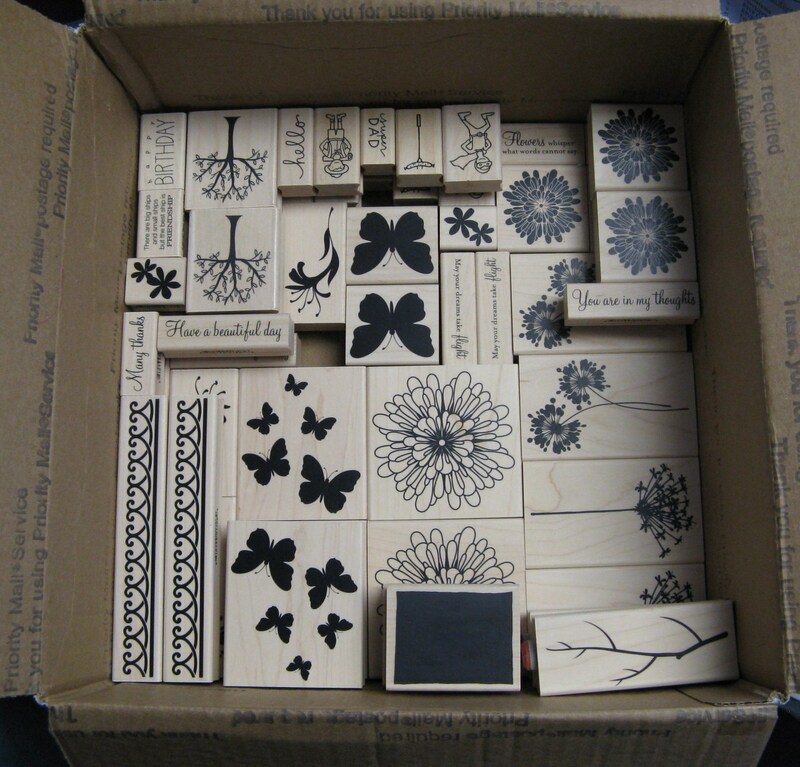 Love that box of stamps – wish they were mine!! !